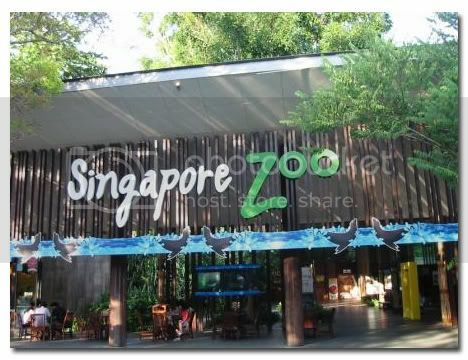 Our second day in Singapore promised tons of excitement because today was Zoo Day!! 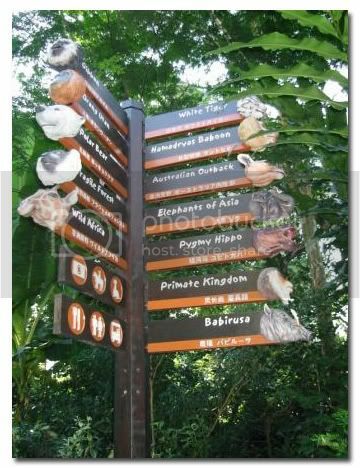 The Singapore Zoo is hailed to be one of the most beautiful zoos in the world, rivaling even the San Diego Zoo, which I didn’t get to visit the last time I was there. So we were all pretty hyped up about the adventure that awaited us. 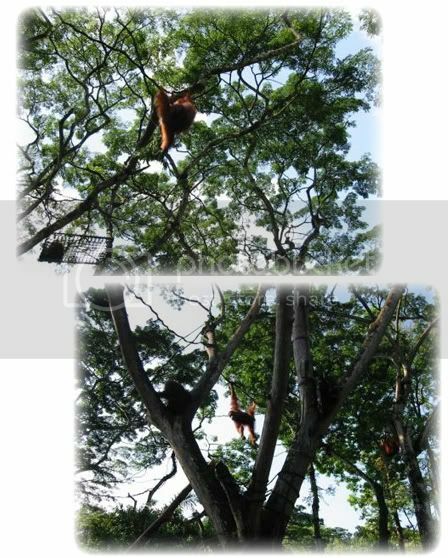 There were flamingos, polar bears, kangaroos, giraffes, and of course, the orang utans. And Ethan was fascinated with ALL of them. 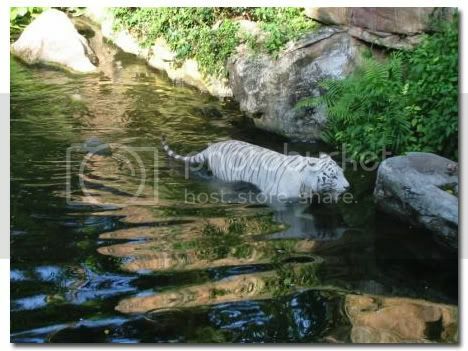 We left the area soon after and visited a few other spots (including taking the tram ride to the Animal Friends show),…..
and wowed at the beautiful white tigers. 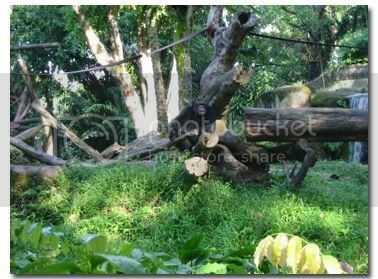 Soon it was time to bid a fond farewell to the zoo animals. We took our final shots with the camera, bought some souvenirs and then waited for the bus to arrive. Ethan was already very restless and looked very hungry. It was after all, already dinnertime then. So when the bus finally arrived, Pete and I decided to have dinner at the bus station itself when we reached Ang Mo Kio. We had a quick dinner at the food court there and after dinner, we spotted the Yogurt Place. There was a “Buy 1 Free 1” promotion going on, and we bought ourselves some yogurt, which all three of us enjoyed immensely. I tell you, it was possibly the best yogurt I had ever tasted in my entire life! And I am pretty sure Ethan agrees with me too! 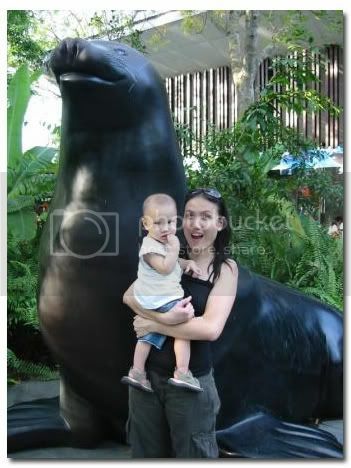 The Singapore Zoo! 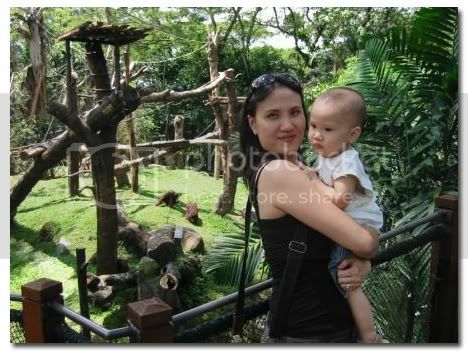 I wanted to go there when I was small, but somehow we (my family) ended up in the Singapore Science Center instead! LOL! Joyce says: And that would be our next stop too! I bet the Science Center was informative eh? 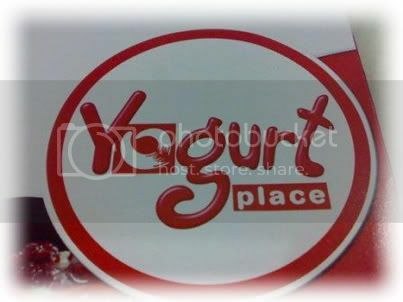 yogurt place? woo..really?must try it out next time..
Joyce says: Yes, believe me, it’s really really good…. 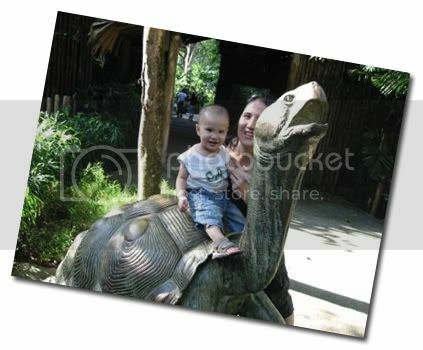 How can you go to the zoo with Ethan without the stroller??????? No matter how tough to bring the stroller we still carry it! That’s how we move from train to busses to all the endless walk in LA, LV and Grand Canyon… if without the stroller I don’t think we can even see anything! Salute to you and Pete…can carry Ethan throughout the whole trip. 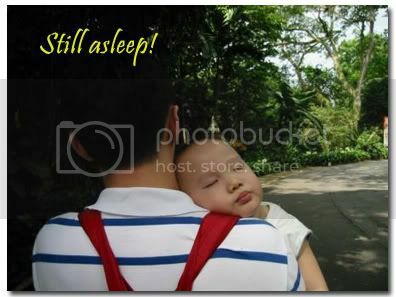 THough Ern is only 9+kg, anything more than 15mins of carrying is tiring. Wow! 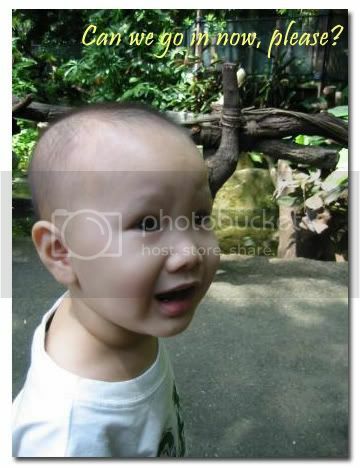 So young and he got to visit the zoo already! Anyway, great to see Ethan having a whale of a time on vacation! Joyce says: Yeah, he’s really priviliged for his age, ain’t he? We didn’t get to visit the S’pore Tourist Info Center but we could get maps and brochures everywhere! Even in our hotel, they had so many brochures for the taking! Very informative and useful for any tourist, I agree! 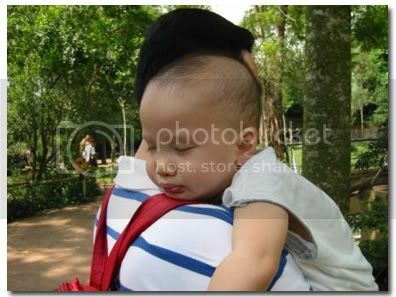 Joyce says: Yeah, Pete carries the baby bag – the key is to get a bag *cool* enough for a guy to parade in. Hehehe. 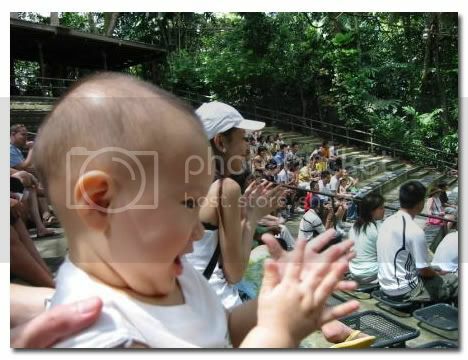 Oh heard so much about the singapore zoo. 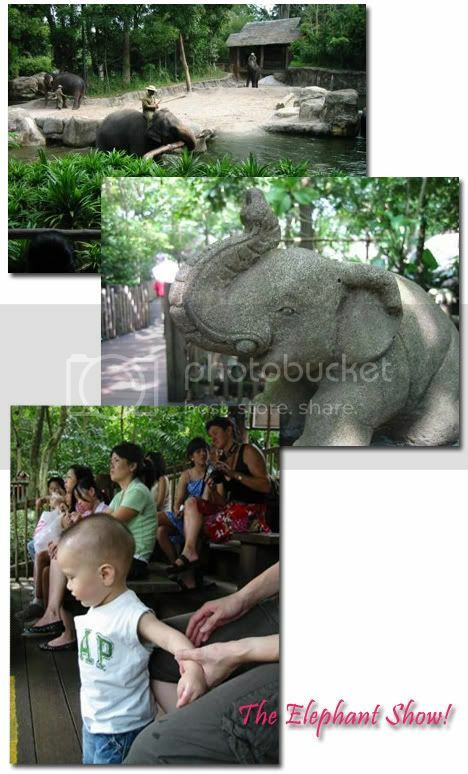 Hopefully can visit them soon…. 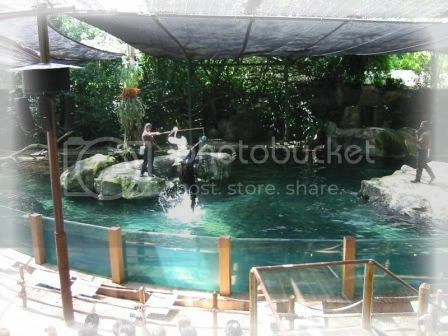 Must go and see that when I visit for sure. 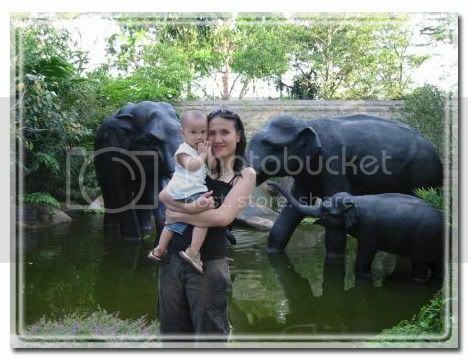 Joyce says: I’ll get pictures of the Night Safari if I happen to go there the next time! 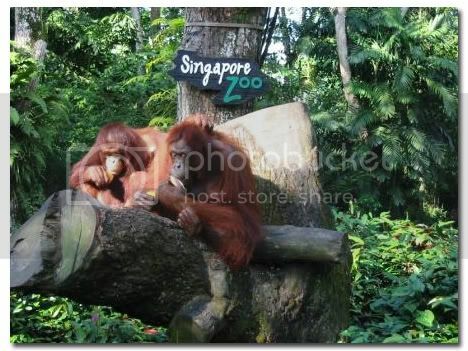 Wow, I hope I get to bring Sze Yi to the Singapore Zoo for our next trip, your blog is splendid! 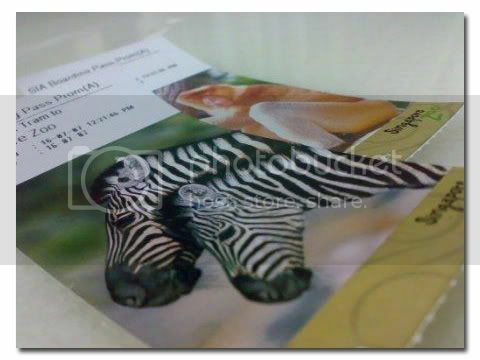 I’m surprised that you didn’t go to the Night Safari? Since it’s already dinner time, might as well stay a while more? Joyce says: Wah…you should experience it for yourself! 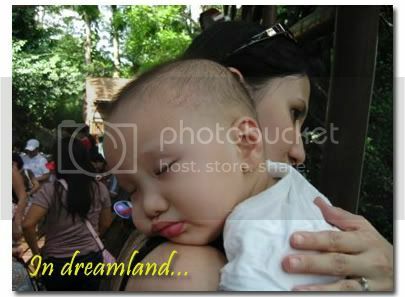 We thought we could do just that, but at the end of the day, we were just too plain tired!